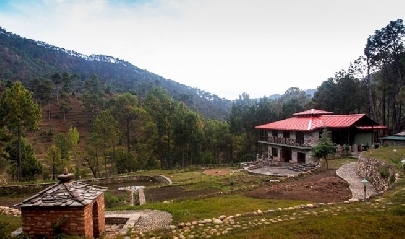 Kosi Valley Retreat is a beautiful bungalow snuggled in the lap of mountains in Simkholi, a lesser known beauty of Uttarakhand. Made of natural stones and pebbles, the cottage is made from mostly local and environment friendly materials. Beautifully defining the comfy mountain home, the bungalow is perched on the bank of a Kosi river formed by the melting snow of the Himalayas. The breathtaking views of the snowcapped peaks is right in your backyard. 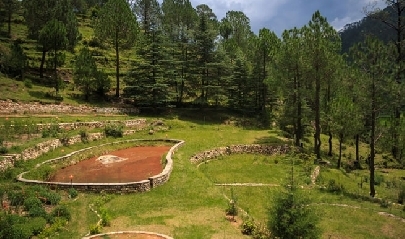 The retreat is built to make the dream of serene vacations in the mountains come true. 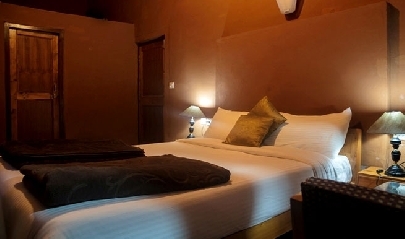 Stay in a tranquil and soothing environment away from the stress of the outside world. Relax in the scenic outdoors simply reading a book or just sitting by the river or clicking the beautiful Himalayan birds or just sitting around the campfire with light music in the background and stars for company. For the adventure junkies, Kosi Valley Retreat has options of Burma bridge, bouldering, rock climbing, rappelling. Gear up for scenic treks along the small snow-fed mountain streams, verdant forest of oaks and pines and lofty mountains. Experience thrilling mountain biking in the winding roads of Simkholi. Explore around like locals. Enjoy a refreshing break in the mountain cottage. 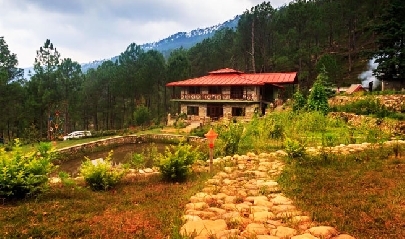 Kosi Valley Retreat is a single mountain cottage snuggled in the Almora district of Uttarakhand in the picture perfect scenery of Simkholi. The Himachali architecture of the pleasant cottage creates a rustic appeal. The cottage comprises of four bedrooms, en-suite bathrooms, living rooms, dining room, well-maintained gardens, boasting of serenity. Enjoy views of the snowcapped peaks of Himalayas. Wake up to the melodies of the birds. The valley is home to ancient oaks where birds of all kinds have made homes. The gurgle of the Kosi River can be heard from the cottage. The views of the gardens are scenic. 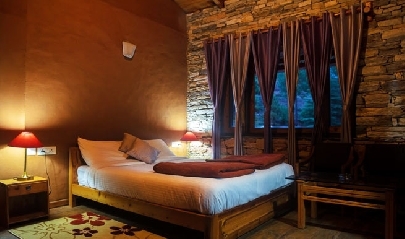 Savor the pristine solitude of mountains during your stay here. 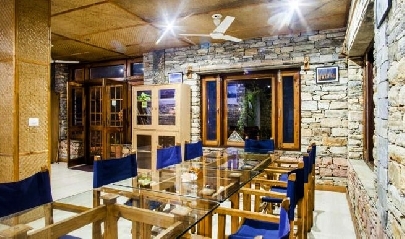 Dining in Kosi Valley Retreat is a treat of fresh organically grown food. The food prepared is freshly cooked meals with delicious local tastes. The meals are a combination of fresh vegetables from the farm grown near the cottage, free range poultry and fresh catch from the river. The cuisines include delicious Indian dishes, some continental options, along with few local delicacies. After wonderful days spent in the natural bliss, enjoying the thrilling sports, the homely food is comforting and appetizing. The chefs also prepare special treats on prior requests.